Show your love for good ‘ol WP! 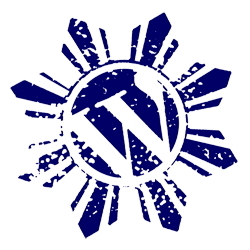 The WordPress fan art above was from WordCamp Philippines. Matt was quoted to “really like this art work”, though I’m sure he favors every fan art made for his WordPress work. We’ve seen this fan art on t-shirts and bags… they really rock! What makes me wonder though is “can people copy these logos on shirts”, some of them really are cool and would be great to wear a few myself. Is there a way to ask permission to use them? hmmm… of if you would like to make fan art, would that require a permission from WordPress? double hmmmm… wonder how that works? anyone? Set your browsers and travel to this fan art page … and this one too.